For many people, feeding their dog means a quick trip to the pet store to pick up a bag of kibble. Most people feed their dog a commercial canned or dry food. Simple and convenient. But for a growing number of people, feeding their dog means preparing food in their own kitchen. Why Is Homemade Food Better than Store-Bought Food? People have many different reasons for wanting to home-cook for their dog. Some people want to be able to cook for their dog just like they would for any other member of their family. Some people have lost their trust in pet food manufacturers. News stories about pet food recalls is undoubtedly the major reason for this distrust. Even though recalls happen far less often for pet food than "human" food, the stories are devastating. Pets can become very ill and many have died as a result of eating tainted food. Food poisoning from bacteria like salmonella or listeria can cause severe illness or even death. Aflatoxin, produced by certain molds is also very dangerous and has the potential to be deadly. These are some of the contaminants that can be dangerous to people too. Especially the very young, very old, or immunocompromised. Some older pets may not eat as well as they used to. They may need to be coaxed to eat. Or, they may have an illness that depresses their appetite. Offering these pets something special may be the only way to get them to eat sufficient amounts to meet their needs. Home-cooking may also help you feel that you are taking an active role in your pet's recovery. If your pet has severe food allergies, you may decide that you would rather prepare his food yourself. Some pets become allergic or have sensitivities to some component of their diet. Usually this is the protein source. The culprit is usually a food your pet has eaten for years. Gastrointestinal signs (vomiting, diarrhea) or skin problems (itchy skin and ears) could mean a food allergy or sensitivity. A veterinarian will be able to determine if changing foods could help the problem. If so, you may be asked to start your pet on a food elimination trial. This means feeding him a protein that he has never been exposed to before. Commercial diets made from so-called "novel" proteins are available, such as lamb or certain kinds of fish. Watch out for foods with small amounts of "standard" proteins, especially chicken and chicken by-products, which defeat the purpose of removing the allergy trigger. But you may decide that you would rather cook for your dog. In this case, you will need a diet that has been especially formulated for your dog. Other people home cook because they think their dog won't eat commercial food. Some pets have been fed "people" food for so long that they may be reluctant to eat commercial dog food. When offered dog food, they will turn up their nose and hold out for something better. You can't really blame them! Most dogs will give in and eat the dog food once they get hungry enough. But very few people are willing to wait them out. This is understandable too! It can also create a very stressful situation for both the person and the pet. If you are one of these people, it may be best to admit defeat and pursue a home-cooked diet. So where do you start? There are countless books and websites that can give you recipes for home-cooked diets. But they are not all created equal. The vast majority of them will not result in a complete and balanced diet. In fact, most of the recipes that were evaluated were found to be very unbalanced. Most of the time they were deficient in 1 or more nutrients. Some recipes actually called for ingredients that are known to be harmful to your dog. Many gave no instructions for how much to feed. 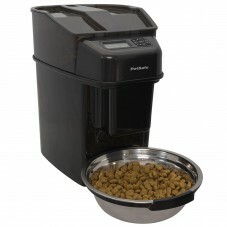 This leaves you not knowing if you are feeding your dog too much or not enough. This is not something that you should be expected to figure out on your own. Feeding too much can be just as harmful as not feeding enough. Remember that anyone can publish recipes. Anyone can post anything on the web. That does not mean that they should be. When it comes to the health of your dog, you don't want to leave anything to chance. That means you should rely on the experts. This means someone who is trained as a veterinary nutritionist. A veterinarian who is board-certified in nutrition will have the letters DACVN behind their name. DACVN stands for Diplomate of the American College of Veterinary Nutrition. If you can't find a board-certified nutritionist in your area, you can try www.balanceit.com or www.petdiets.com. These sites provide an online tool to create and download homemade diets for healthy pets. They also provide personalized nutrition consults (available through your veterinarian) for pets requiring more specialized diet advice. Both of these sites are operated by board-certified veterinary nutritionists.